If you are interested in making fast money by selling diamond jewelry, you should contact Diamond Buyers of America. The company has a transparent transaction policy and will offer you the highest prices for your diamond jewelry. Diamond Buyers of America accepts used and unwanted diamonds including loose or chipped diamonds. Diamond Buyers of America also accepts diamond earrings, necklaces, bracelets, pendants, and rings. 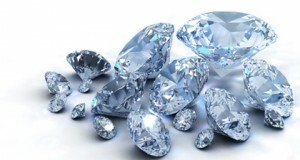 The diamond buying company maintains a strong connection to the diamond industry, which is part of the reason it is able to offer so much money in exchange for diamond jewelry. As a company that specializes in buying diamonds, it may pay you more money than you would receive from a jewelry retailer or pawn shop. Since a jewelry store purchases its products wholesale, it will never pay you the retail price for a secondhand diamond. Additionally, it will only buy the diamond if it can make money from the item. The price most jewelers are willing to pay for a diamond is going to be much less than its actual worth; otherwise, the retailer will not make a profit. A pawn shop does not technically buy a diamond; it uses it as collateral against a loan. Technically, you are supposed to get the diamond back when you repay the loan. A pawn shop usually does not employ a gemologist, so the staff will be unable to properly assess the value of your diamond. Generally, the only test a pawn shop performs on a diamond is to determine whether it is real. When you sell diamonds to Diamond Buyers of America you are guaranteed to be paid a sum that reflects the value of your diamond. In these tough economic times more and more people find themselves selling their silver and other precious metals. With the market value for gold, silver, and diamonds so high, right now it is an ideal time to sell. You could be sitting on thousands of dollars’ worth of silver and not even know it. Most people probably do not even realize how much unused silver they have laying around. 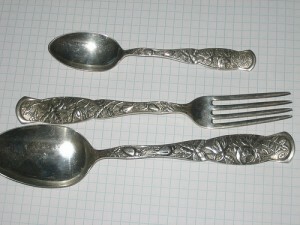 When was the last time you used your sterling silver flatware? Do you have some old silver coins gathering dust? Have you gone through your jewelry box and taken out all the broken jewelry and pieces you haven’t worn in years? All these things can add up to a great deal of silver, which in turn leads to a princely sum for you. Do not let all that silver go unused, sell it! When you do sell your silver make sure you are getting the best deal. A lot of unscrupulous metallurgists out there get away with paying people much less than their silver is worth because of the poor economic situation. Don’t let this happen to you. Shop around and see who can give you the best deal on your silver. [title] => A Great Week For Gold Prices? This week some strange things began to happen in the gold markets. Particularly there was an uptick in the price of gold, one that many economic side-line viewers and myself predicted as inevitable when gold seemed to be slipping over the last few weeks. The strange thing was not the slight uptick of course but that it occurred as stocks surged. This is not a common occurrence. As stock prices go up, generally folks begin to feel more comfortable investing in those somewhat risky business ventures being sold on Wall Street. At those times real world assets with steadier value like gold start to dip in price. These are the moments when a NYC gold refinery tries to maximize it's acquisitions. Instead though this week continued to be a good one for the price of gold. Largely economists see this as a result of the lack of certainty in the futures market. 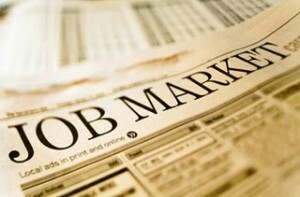 With better than last month employment numbers expected to be released tomorrow could end up pushing the prices at New York gold refineries even higher. When there is no need to sell an equity like gold people tend to hold on driving the market higher. This could end up being  a pretty great month for gold! We have spent a lot of time talking about the value of gold and how this is a fantastic opportunity to get top dollar because the economy is iffy. But, what options do owners and investors actually have as to where they sell their gold. If you intend to be selling gold in NYC you have some pretty amazing options. Gold jewelry is an interesting thing to sell. Depending on the original value of the jewelry you may want to consider alternatives then its face value. You can get cash for gold by selling it several ways. If you think the jewelry can get a good price by selling it to an individual, you can get it consigned or host a gold party. Both of these options allow for flexibility in price adjustment because the value is in the eye of the beholder to an extent (as long as it is not outrageously inaccurate to market price. You can argue its worth based on the piece's cultural or historical significance. You can also sell gold for cash to be melted down by a refinery. You may want to do some research as to which service you choose, though, because there's a discrepancy among how much cash you can get out of it. It's probably somewhere around 10% of the retail price. It's great for quick cash and if you're really not satisfied with the price you can return the check and get your gold back within the time limit the refiner sets. 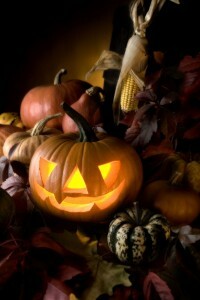 Halloween is just around the corner and you may be realizing, you aren't quite prepared for it. Getting a new costume can be really expensive, especially when you take all the accessories into consideration. Most  costumes are pretty basic and you might need a wig, shoes, and any other items to complete the look. But you're short on cash. That's where looking around for your gold jewelry and throwing a gold party this month before Halloween can come in handy. If you get all your friends together and let them know your plan, they'll be eager to attend as well so they can have the money they need to do what they want on Halloween as well! Whether they need a new costume or want to get a ticket to the big party at the local club, they can have that spending cash if they sell their jewelry at your gold party. And it's so easy to find items to sell, most people don't even realize the value they have lying around their homes. There's so much we don't use anymore, why let it sit around and go to waste? Get the cash so you can celebrate this Halloween in style! 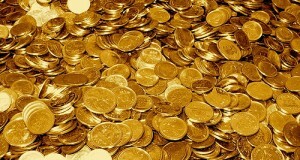 By this point we know that gold is a valuable asset and investment. People are turning to selling gold in NYC as a means to prepare for their futures. We once trusted things like social security and national loans but those days are over. The baby boomers are all grown up now and they are facing the beginning of the end for financial security. Instead of retiring in their early 50s, people are holding on late into their 60s and 70s. This is simply just because they need to save up in funds before they go cold turkey from five days a week working. 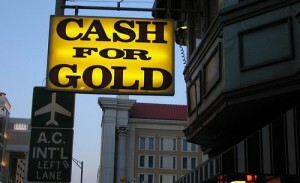 To expedite the retirement, many turn to selling gold. NYC gold buyers can give you a solid deal in today's market. The money that comes from the sale is put into insurance and other retirement needs. Even the younger generation is learning a lesson in frugality. Education costs way too much. Going to the "best schools" is a pipe dream without some major financial aid or extra funds. Hence, parents and students alike are turning to selling gold investments and items. even just a few thousand can pay for books and supplies (and possibly even some classes at community colleges). A little goes a long way. In terms of gold investments, the lowest risks are gold investments in which you or a third party is in physical possession of the gold. You can trust gold sellers with consignment deals, and insured banks and security details for storage. Always have the investment ready for optimal selling markets. A Great Week For Gold Prices? Halloween is just around the corner and you may be realizing, you aren't quite prepared for it. Getting a new costume can be really expensive, especially when you take all the accessories into consideration. Most costumes are pretty basic and you might need a wig, shoes, and any other items to complete the look. But you're short on cash. That's where looking around for your gold jewelry and throwing a gold party this month before Halloween can come in handy.